Condensation: What it is. What it means. Condensation means the IGU is working properly, serving as a thermal barrier between extremes in temperature. There are three parts to the solar energy spectrum: infrared, visible and ultraviolet. 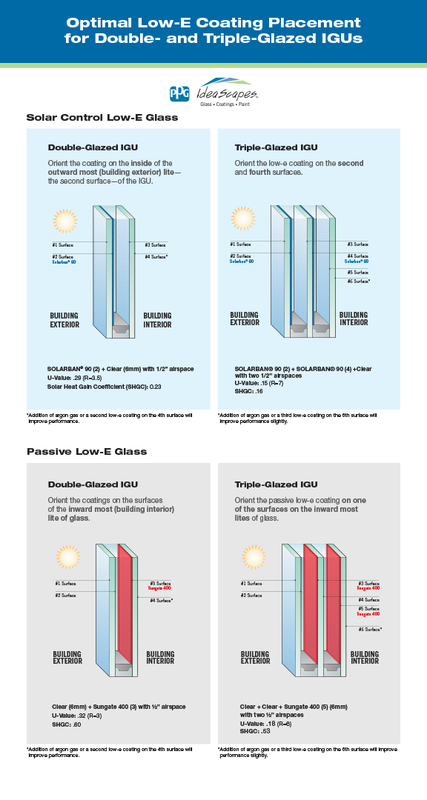 Glass consequently responds to these three different types of light in three different ways: by reflecting, absorbing or transmitting it. Tints and coatings can be used to impact that response in order to improve overall glass performance. The North American Glass Channel chart demonstrates the many different processes involved in the production of commercial glass and the capabilities of the largest channel participants from primary glass manufacturers and low-e coating manufacturers, to glass fabricators and glazing contractors. A multi-step glass manufacturing process where liquid glass is formed by "floating" it on molten metal.